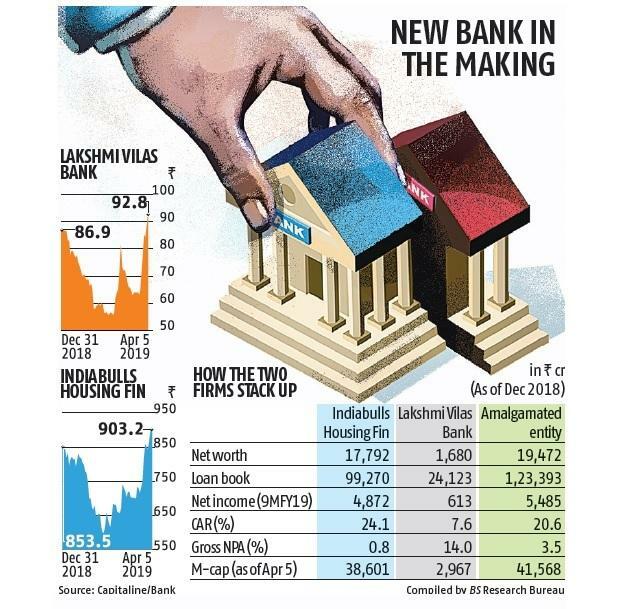 Chennai-based Lakshmi Vilas Bank is set to merge with Indiabulls Housing Finance in a share-swap deal, reflecting the trend of consolidation in the financial services sector. The boards of both entities approved the merger proposal on Friday. The shareholders of Lakshmi Vilas Bank (LVB) will get 14 shares of Indiabulls Housing Finance (IBHF) for every 100 equity shares held in the bank, said the bank in a filing to the stock exchanges. At Friday's closing price, IBHF will pay a 36 per cent premium to the LVB shareholders. The deal would lead to 8 per cent equity dilution (on the basis of December 2018 figures) for the housing finance major. This would be the second time that a non-banking financial company (NBFC) has acquired a bank since Capital First acquired IDFC Bank to form IDFC First Bank last year. While IBHF had applied for a banking licence, the Reserve Bank of India granted licences to only two entities in 2014. The amalgamated entity would have a net worth of Rs 19,472 crore and a loan book of Rs 1.23 trillion as of December 2018. The merged entity’s capital adequacy ratio would be 20.6 per cent. IBHF's market capitalisation is 13 times that of LVB. The merger will bring access to the bank’s low-cost deposit franchise for IBHF, which has largely relied upon wholesale finance to fund lending operations. LVB has been in dire financial circumstances due to mounting non-performing assets (NPAs), and the central bank has put two nominees on its board for close supervision. The bank has also been in the market to raise capital. IBHF’s strong capital adequacy will help the bank overcome these problems. “The important point in the merger is that LVB is in need of capital and we will provide it. Its high NPAs aren’t a permanent destruction to post-merger returns ratios. It is an entity that IBHF can manage and digest, and has the capital to support,” said Gagan Banga, vice-chairman, IBHF. However, it is important that LVB, with its weak financials, does not slip into the RBI's prompt corrective action (PCA) framework, which could be adverse for the merger. “In the interim period, we will function as a going concern and ensure that we stay out of PCA,” said Parthasarathi Mukherjee, MD and CEO, LVB. Indiabulls’ presence in the northern and western markets will complement its presence in the south, and the merged entity will be able to create a pan-India footprint. For the management of the combined entity, IBHF has proposed that Banga and Mukherjee will serve as joint MDs of the merged entity. Founder and chairman of the Indiabulls group, Sameer Gehlaut, will be vice-chairman, said IBHF in a filing. The IBHF board has constituted a re-organisation committee headed by former RBI deputy governor S S Mundra, to take necessary decisions about the proposed amalgamation. Mundra also serves as an independent director on the board of the housing finance company. 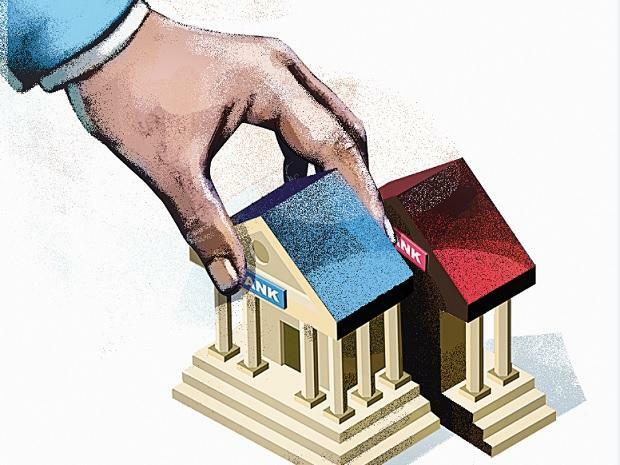 The merger is expected to take 6-12 months as it would require regulatory approvals from the RBI, National Housing Bank, CCI, Sebi, and the NCLT. The RBI’s nod will be crucial for the merger. “We are flexible with the structure suggested by the RBI and will follow the guidance,” added Banga. IBHF already holds a significant stake in UK-based OakNorth Bank, which is valued at Rs 3,000 crore. It had acquired a 40 per cent stake in the banking start-up in October 2015. In October 2018, it sold a 16 per cent stake in OakNorth Bank to Singapore’s GIC for Rs 900 crore, according to IBHF’s presentation. The share exchange ratio has been arrived at on the basis of joint valuation reports.